Everything was awesome – now lil’ sis’ has grown up and out of her Duplo™, the sibling clique is experiencing apocalyptic growing pains – can she ever be part of the team? Everything was awesome, but as we open in a desolate LEGO®™ wasteland, we discover what it sounds like when a Unikitty screams. Following a story set in a young lad's imagination should be easy: just keep on imagining. 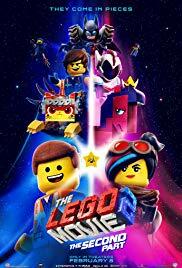 Where the Lego Movie 2 goes astray is trying to explain the machinations behind the curtain by revealing the reality that informs the LEGO characters exploits. This is will make no sense until you watch it (and even if you do), but the final third of the flick (and the oscar-winning-worthy credits) will help you feel OK for sitting through what overall is a passable sequel. May the creative team learn from this, and if a third occurs, throw logic to the wind and just tell a good, simple story.